Are you one of those who followed the journey of Courageous Caitie on facebook? It was so heartbreaking for me but Caitie's parents have also became my source of inspiration and strength. We all go through loss of a loved ones at some point in our life. I was still grieving that time from losing my mom to cancer. Feliz and Jay Jay Lucas share the inspiring story of Caitie through the book More Than Most: The Story of Courageous Caitie published by OMF Lit. 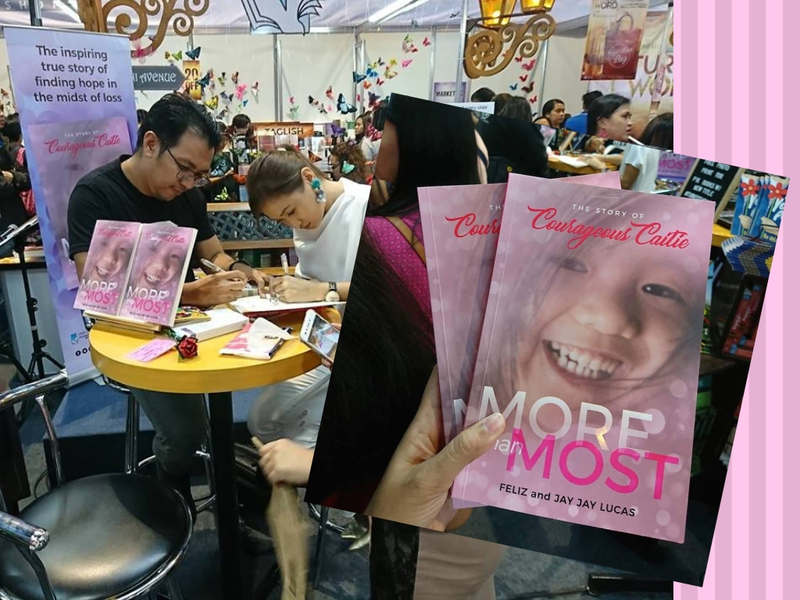 The book was launched at the 39th Manila International Book Fair 2018 held at the World Trade Center. With the theme "Turn to the Word", OMF Lit aims to highlight that the books they publish, distribute, and import have one unifying purpose: to make people look to God and His Word. The latest addition to the popular Lovestruck series, this time around answering the Big Question: Is the person I’m with right now “The One”? This is the heartfelt and beautifully written memoir of a young woman who bravely battled and survived Arterio-Venous Malformation (AVM), a rare brain disease. This is the student edition of the bestselling book Ang Pera Na Hindi Bitin. The book teaches students and young people how to manage their finances. Sandosenang Sapatos Premium Edition written by Luis Gatmaitan and illustrated by Beth Parrocha. The children’s book classic comes in a bigger edition that is good for storytelling. The edition also includes a study guide and the author’s account of the journey which the book has so far taken.